Have you been spending too much time trying to handle your own call center or lead generation staff? Why not look into outsourcing, which can provide total end-user support to help bring your staff back where they are needed the most. 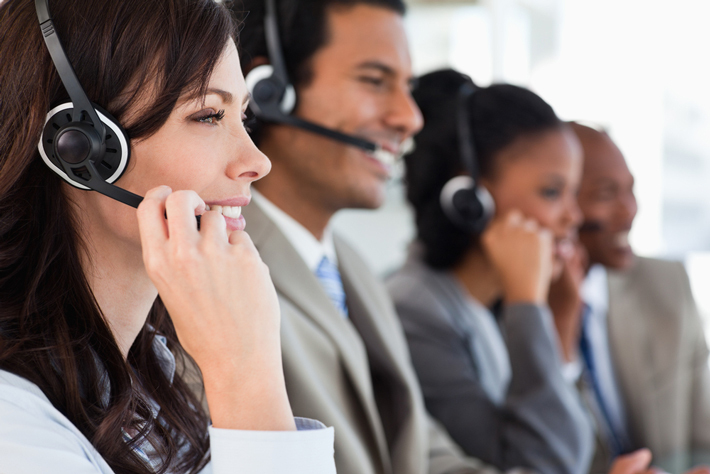 Why Choose to Outsource Call Center Operations? Cost effectiveness is a one huge and obvious advantage, but outsourcing also offers the ability to rapidly scale and have readily-available resources added to your team as your business or sales force grows. We have customized solutions, an experienced recruiting team, and large pool of established call center specialists with whom we’ve worked on numerous projects in prior engagements. Our services include customer care and support, appointment settings, direct response, data entry, order processing, credit card processing, order management, order fulfillment, multi-language support, technical support, and more. Our state of the art IP-based network means unparalleled voice quality. We never sound like we’re far away; our quality will convince your customers they’re just calling the house next door. We work to build an environment with culture and technology that supports frequently interacting with your agents. We also place special focus on investing in quality, excellence, and the process of training each employee. We continually evaluate the agents assigned to your case to offer optimal results. Our agents are intelligent, skilled, and speak excellent English clearly and concisely to help customers understand every word with ease. It’s a common business strategy to look to outsource various parts of your company. Sometimes it can be out of necessity, or it can be more out of convenience. Regardless of your motivations behind outsourcing your call center services, we offer plenty of advantages that will quickly become obvious. Being able to focus on your core business is the another major advantage to outsourcing call center operations. Though a call center may very well be an essential component of your business, it is likely ancillary in relation to your primary focus. By outsourcing the process to us, we’ll focus on what we do best while you maintaining a stronger focus on your core business.